Mission Statement of the Network: The purpose of the LaCPESN is to develop, implement, and maintain a network of community pharmacies that provide high quality enhanced services to patients to improve patient clinical outcomes and utilization of healthcare resources by working collaboratively with other healthcare providers, health systems, accountable care organizations, and other healthcare providers, health systems, accountable care organizations, and other key stakeholders. The LaCPESN will work with payers to ensure that overall health care spend is optimized and reduced by appropriately managing patients’ medication therapy. The network is focused on high quality performance in all aspects of the practice including implementation of enhanced services, provision of patient care services, collaboration with other health care providers and key stakeholders, and working closely with payers to improve overall health care resources utilization and overall health care spend. 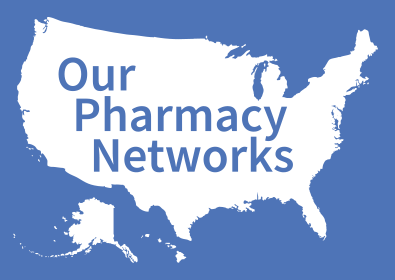 The participating LaCPESN pharmacies agree to be active participants in the network, collaborating and sharing ideas, and willing to share practice data as determined, requested, and needed by the network. Description of the local Network: Initiated in October of 2016, LaCPESN quickly grew from a concept to an established enhanced services network. LaCPESN is composed of retail pharmacies that are committed to providing enhanced services beyond traditional medication dispensing. High performing pharmacies that are members of LaCPESN are dedicated to assisting patients with complex medication regimens utilizing a set of required and optional elements that are individualized based on patient needs. The ultimate goal of all LaCPESN members is to improve patient health. Contact us: Please send us your contact information if you would like to speak with a member of the LaCPESN team. They will be able to provide more information, and answer your questions.